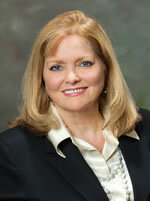 Karen Jenkins Young concentrates her practice in tort litigation. She has an AV preeminent™ Martindale Hubble rating, earning a 5.0 out of 5.0 rating. She has extensive experience defending and prosecuting lawsuits in state and federal courts throughout the Southeast and Mid-Atlantic, at trial and on appeal. She has handled over forty trials, primarily as lead counsel, but also as first or second chair trial counsel. Ms. Young’s casualty litigation practice includes defense of toxic tort claims, products liability, traumatic injuries, contract matters and premises liability claims. A large portion of her practice is devoted to the defense of Class I railroads in suits brought by employees arising under FELA and negligence suits brought by non-employees, involving diseases arising from exposures to asbestos, diesel exhaust, ionizing radiation and silica. Ms. Young leads the firm in developing medical and industrial hygiene-based defenses to occupational disease and injury claims. She works directly with trial and consulting experts in the fields of medicine, industrial hygiene, toxicology and radiation health physics. She challenges the opposing experts both in motions practice and at trial. She has successfully brought about the dismissal of cases based on the statute of limitations, prior releases and other dispositive issues. Ms. Young has argued before the Georgia Court of Appeals and has represented clients before the Eleventh Circuit Court of Appeals, the United States District Courts for the Northern, Middle, and Southern Districts of Georgia, in the United States District Court for the Eastern District of Pennsylvania asbestos MDL and in a number of Southeastern and Mid-Atlantic states. She has defended clients before the Georgia State Board of Workers’ Compensation, and in administrative forums including Georgia Board of Ethics and the Georgia Personnel Board. Ms. Young has represented a large Georgia county in a variety of matters including environmental litigation. She has represented municipal officers and Georgia constitutional officers in various matters and she served as a Chapter 7 Bankruptcy Trustee for the Southern District of Georgia Bankruptcy Court. After a private practice which included criminal defense work, Ms. Young served as a Chief Assistant District for the Oconee Judicial Circuit in Georgia where she tried a range of criminal cases from homicide, child molestation and child abuse, embezzlement and controlled substance crimes. In her duties as a prosecuting attorney from 1996 until 2004, she found that the most fulfilling part of her job was seeking justice for the victims of child and elder abuse. Ms. Young has been a faculty member of the National Association of Railroad Trial Counsel’s Trial College, teaching trial tactics to novice railroad defense attorneys. She has been a presenter at the NARTC annual meeting on FELA fear of cancer claims. She participates in Georgia’s pro bono assistance program, representing those who cannot afford legal representation. She was selected by the Chief Judge of the Dublin Judicial Circuit to represent the circuit in a statewide initiative to investigate the efficacy of a drug court. She mentors younger lawyers for the Georgia Bar Association. She coached a Georgia high school Mock Trial Team, and has participated as a judge for Georgia’s regional Mock Trial Competition. She is a member of Leadership Glynn for emerging community leaders in Glynn County, Georgia. Outside of the legal field, Ms. Young participated in the development of the first Georgia women’s domestic violence shelter outside of Atlanta and was on the board for local women’s shelters. She has volunteered for Habitat for Humanity. Ms. Young and her husband Bobby enjoy boating, fishing and kayaking in Georgia’s rivers and in the Atlantic Ocean, and nature photography. • Representation of a Class I railroad in a lung cancer death case involving claims of occupational exposure to asbestos, diesel exhaust and ionizing radiation over a period of forty years. At trial, handled direct and cross-examination of witnesses including government health physicist and environmental regulators, client’s in-house industrial hygienist expert, defense expert industrial hygienists, community activists and lay witnesses. Participated with The Jordan Firm attorneys in securing a New Trial, defeating Extraordinary Appeals before Tennessee’s highest appellate courts and in the retrial, achieving summary judgment based on the Daubert exclusion of Plaintiff’s medical causation and industrial hygiene witnesses. • Successful representation of a Class I railroad in an asbestos-related mesothelioma trial based on a State-of-the-Art defense, securing a defense verdict. Defeated Plaintiff’s appeal to the Court of Special Appeals of Maryland. • Leads a team of attorneys and assistants in collecting and organizing corporate historical asbestos records for a large corporation and has primary responsibility for assisting the corporation to achieve nationwide uniformity in nationwide asbestos litigation discovery. • In a criminal jury trial which garnered nationwide attention, achieved a defense jury verdict as sole defense counsel for a defendant charged with multiple counts of sexual offenses and custodial offenses. The prosecution was well-staffed and was assisted by the Georgia Bureau of Investigation, the Georgia Department of Corrections and other law enforcement agencies. • Successfully obtained numerous summary judgments for a Class I railroad in FELA cases based on the statute of limitations, prior release, and partial summary judgment as to claims for violations of the Locomotive Inspection Act and claims for damages due to “fear of cancer” and lost wages. • Successful in securing summary judgment for a loom manufacturer as to design defect and failure to warn claims brought by a mill worker who was injured by a loom flywheel. Defeated Plaintiff’s appeal to the Georgia Court of Appeals.